What's The Most Unbelievable Car Fact You've Ever Heard? The world of cars is both weird and wonderful, almost too much at times to believe. There are all kinds of obscure factoids in the auto world, like how Skoda has an origin story like Lamborghini. 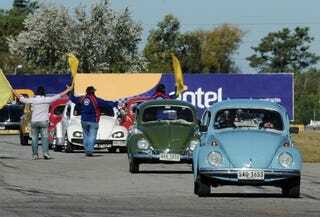 My personal favorite, though, is that José Mujica still drives his old VW Beetle. What's odd about that? Mujica is a head of state, the president of Uruguay to be precise. The guy donates 85% of his salary to charity, as well, so the car choice makes sense if you know the full story. What true car fact could you just not believe when you heard it?